Have you seen google wonder wheel? 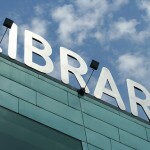 It is an interesting new way to search through topics on the Internet and discover the terms people are searching for. To find google wonder wheel go to www.google.com, type in the topic you’d like to search for and then click on Show Options once the search results have appeared. In the left hand column you will find the Wonder Wheel option. 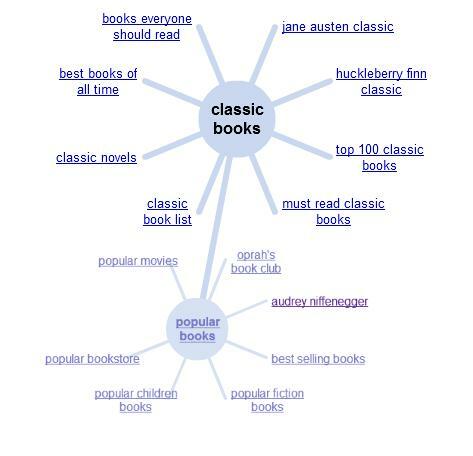 Here is the wonder wheel I obtained when I searched for ‘popular books’. It is great to see Audrey Niffenegger appearing, although the recent release of The Time Traveller’s Wife at the cinema and the approaching release of Her Fearful Symmetry mean that this isn’t very surprising. This is a great way to brain storm new blog post ideas, discover new web sites and waste hours of your time! Have you seen this feature before? Do you think you will make use of it? You see, I learn something new just about every day! I’ve never used this, but I agree it would be a great way to get some new ideas. I will definitely check it out! I’m pleased to have taught you something! It is surprisingly useful. I only played with it for a few minutes, but came up with several new post ideas. I hope you like using it too. Thanks for sharing. Excellent resource. I think I find it useful when I have only a vague idea of somehting and not sure where to ehad with it or what to search for exactly. I actually found it useful when I had no idea what to write about! 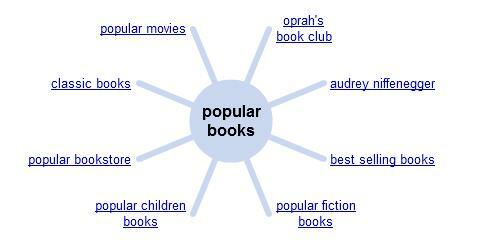 I just searched for popular books, then browsed around. 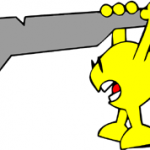 I now have several ideas for blog posts. Wow, very cool. This is new to me. Thanks for posting about it. Although it looks like fun, I don’t see myself actually using this feature for any serious search. Beth, I don’t think it is of any use for serious searching, just for browsing. I just followed your instructions and so much fun! Thanks for sharing with us, Jackie. I don’t see anything that says Show Options. I go to google.com and type in an author’s name to search, but there is no ‘Show Options’ for me to click on. What am I do wrong? booklogged, Thank you for pointing that out. I have now editied the post to make things more clear. Nevermind! I found it. Just didn’t know that I had to click on search first to find the show options. I think I’m up and running with this cool idea. Appreciate you sharing. booklogged, I’m pleased that you managed to work it out. I have not seen this; so happy i found this post; thanks jackie! Never even saw the options button there. Tried it for something butit goes on and on and on. Looks like I will have to spend some more time on it. Thanks for the info though. Violet, It is a very useful feature in the right circumstances. I hope you manage to find some use for it. I haven’t seen this before but it looks really interesting. I’ll have to play with it soon! Isn’t Google becoming a hegemony that trickles into the minute details of our lives? I do think it’s an interesting way to brainstorm and organize ideas. I like the classics wheels. I would follow your example to type in subgenres like American literature, historical fiction, etc. Matt, I enjoyed typing in the names of my favourite authors too. I hope you come up with some good ideas! How interesting … and another great way to waste more time! I can see myself fooling around with this some weekend night when I have nothing better to do. Jenners, Not that we need another way to waste time! I found it useful though. Definitely new to me – thanks! I can see myself getting lost for hours in this.